Doctor Who: It’ll Be Nardoley This Christmas | Warped Factor - Words in the Key of Geek. Tony’s experienced a Christmas miracle. I’ve never been a fan of Matt Lucas. Just never seem what other people see. Just can’t get the connection. I’m not suggesting for a minute that he should now be quaking in his boots, refusing to go out and crying ‘Oh no! I’ve faiiiiiiiled!’ Plenty of people have found him funny in his life, and good on him for getting them to do so. But based on the role of Nardole in last year’s Christmas Special I saw nothing to rejoice about in the fact that he’s coming back to Who for not only The Return of Doctor Mysterio, but also the whole of Series 10. Bah. Humbuggery. The move smacked of Moffatty desperation: there’s a tell for when Steven Moffat’s not entirely happy with his own Christmas scripts – you get two entirely pointless secondary characters, played by comedians and then required to downplay their comedy, like Bill Bailey and Arabella Weir in the more or less dreadful The Doctor, The Widow and the Wardrobe. It’s Moffat trying to channel the genius of Robert Holmes, and the need to do it makes it frequently fail. As with Bailey and Weir, so with Lucas and Davies in The Husbands of River Song, they were neither funny enough to be comedy relief, nor serious enough at any point to be serious. The Husbands of River Song was essentially the Doctor Who Pantomime, with Davies giving us his Baron Hardup, and Lucas his Buttons. So no, not thrilled at the prospect of a Nardole-flavoured 2017. Please sir, I cannot tell a lie – it was I who made up that letter to Santa Moff, begging him to push Nardole out of a very high window and give fans the Nardole pizza that could make all our Christmasses bright. I have been visited in the night by the Spirits of Companions Past, Present and Future, and I have undergone a transformation. 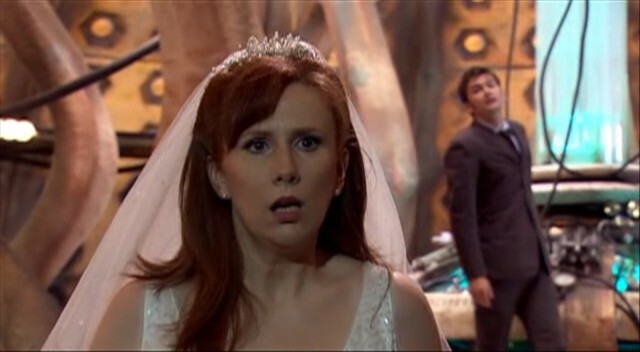 I have remembered the wails of derision from around the fandom when the Spirit of Companions Past, Catherine Tate, appeared as Donna Noble the first time round, and then came back full time. Personally, I loved what Tate and Russell T Davies did with Donna on her first appearance, and I loved what they did with her when they brought her back even more, but the crucial thing is that she wasn’t the same character. When she came back for a longer stint, they’d done some work on her rougher edges, and she was more ready for the universe, becoming ultimately one of the most wonderful and tragic of the companions in Doctor Who history. I have been led by the hand by the Spirit of Companions (Technically, Sort-of, Just About) Present, Jenna Coleman, who made not one, not two, but three entirely different debuts, challenging us to trust the Grand Moff and his Plans of Timey-Wimey Cunning. While, to be fair, some of those plans it seems entirely likely he made up on the fly, Clara Oswald too took us into new, dramatic, comedic, glorious territory, showing us what the Doctor would do for the people he cared about. How far he would go. And I have been comforted by the Spirit of Companions Future, Pearl Mackie, who as Bill was rushed front and centre before anyone entirely had time to work on her character in that questionably launched, middle-of-a-football-match scene with Peter Capaldi, and managed even at that point to more than hold her own, and with Capaldi, to be one of the two best things in that scene, promising good things to come. I have been visited by all these spirits, and then, to be absolutely honest, I have read the interview with Matt Lucas in the Christmas issue of Doctor Who Magazine, and it has raised my hopes, re-fired my optimism, and let me find my companionable Christmas spirit again. Because Lucas is one of us. He wants to come back one day as the Meddling Monk, for heaven’s sake, or as the voice of a new K9. You don’t have dreams like that if you are of the Not-We. More than that though, he’s honest in that interview – he admits that the Nardole part in The Husbands of River Song was a bit of a romp, nothing more, and that much more of the character as he was written and played in that episode would be pretty unappealing. In that interview he tells us there’s an arc ahead for Nardole, that he has secrets and abilities and does a thing the Doctor can’t do. Nardole’s the first genuinely alien companion we’ve had in quite some time (do the maths – River’s the product of two humans mating, irrespective of her Time Lordy vortex…ness. Captain Jack has always seemed to be human, albeit from a 51st century human colony. Then you’re looking at Kamelion, who wasn’t an alien so much as a colossally expensive propper-up of scenery. You’re looking as far back as Turlough in 1983-4 for a proper, honest-to-goodness alien companion). That’s an exciting prospect – and one which wasn’t made clear by anything in The Husbands of River Song. An alien companion has topped lists of fan-wants time and time again since Doctor Who came back. Rejoice, then – we’ve got one, and he’s played by Matt Lucas. Most reassuring is the idea that Nardole gets to transcend his original purpose as ‘a bit of fun for Matt Lucas, to bump up the star power and silliness of the Christmas Special.’ Nardole, if we believe what Lucas tells DWM, is set to become a character in his own right, which to be perfectly honest is all I needed to make me switch teams. I’ve never been one to overly pre-judge Who, its characters or actors before, but the Capaldi Christmas Specials have left me rather exhausted by, on the whole, not being great. 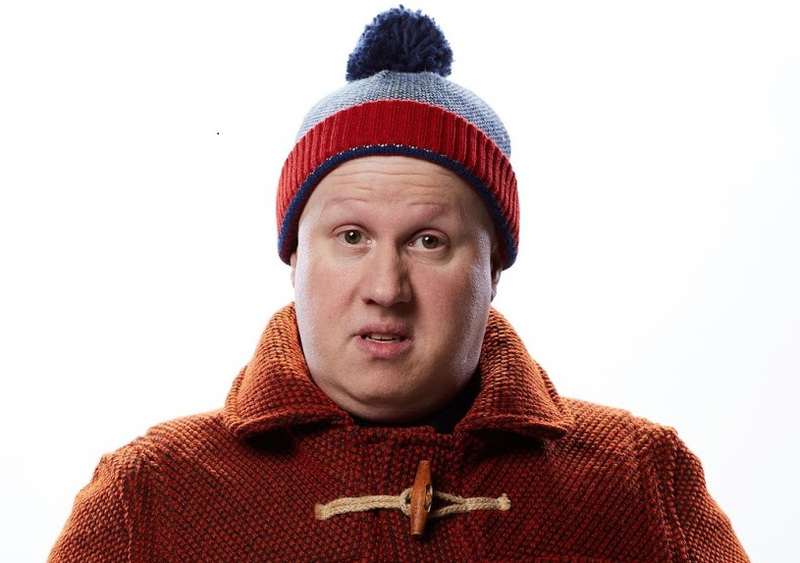 And I feared the return of Nardole as he was in Husbands, the mostly unfunny comedy relief, and have never been a fan of Matt Lucas’ comedy work, so I feared the worst – a comedy companion gone mainstream. But the spirits of Donna, Clara and Bill, the experience of their times on board the Tardis past, present-ish and yet to come, coupled with some honest appraisal and the promise of an actually interesting character when he comes back, have melted the hardness of my heart towards Nardole. Let there be geese bought from the poulterers on the corner and sent to Tiny Tim. Let there be nephews visited and games played. And let there be an alien companion on board the companion once again. Merry Nardolemass, and may the Time Lord bless us, every one!